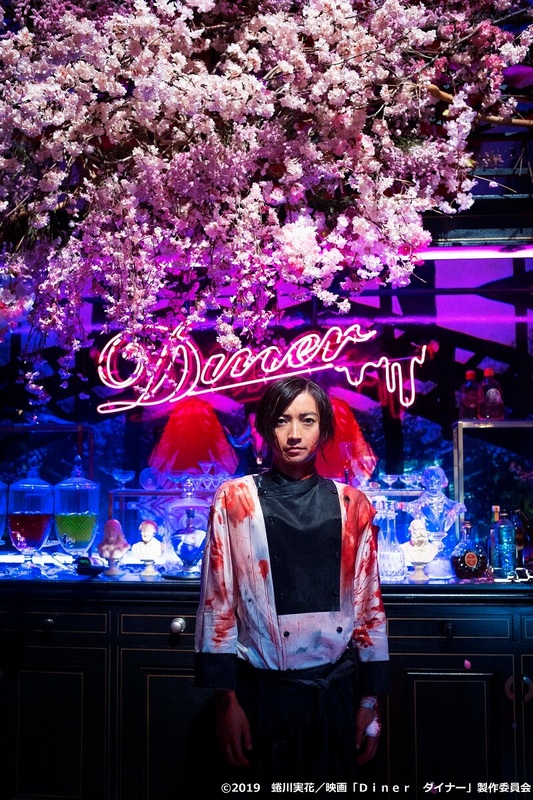 Diner is an upcoming film adaptation of author and horror writer Yumeaki Hirayama’s 2009 novel Diner directed by Mika Ninagawa and starring Tatsuya Fujiwara. The author previously said that it wouldn’t be possible to adapt the original work into a film. But the long wait is finally over. The new teaser trailer reveals the release date to be July 5, 2019. More information about the cast has also been unveiled. Tatsuya Fujiwara, whose large filmography has given him the opportunity to perform a whole range of unique characters, will play the role of master chef and former killer Bombero. 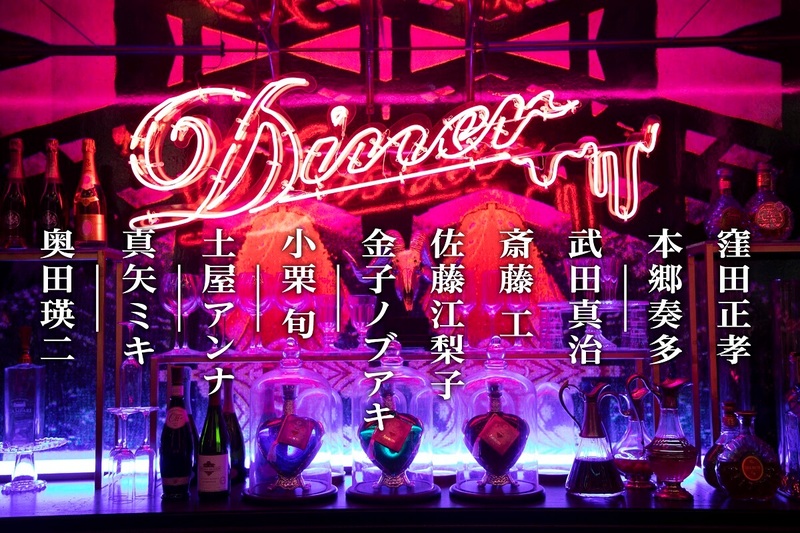 The Bombero that director Mika Ninagawa has created is one with a faint aura of fearlessness about him. Fujiwara explains how it was a difficult role at first. When he first tried out for the character he was bewildered, but as he got into it he felt very good about the character. 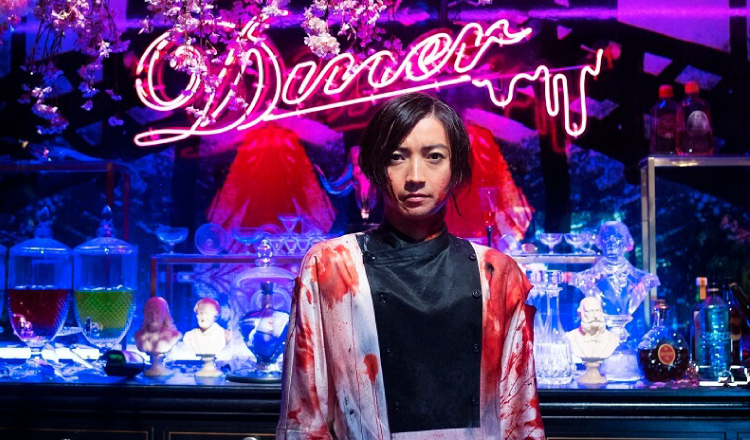 The film will also star Masataka Kubota, Kanata Hongō, Shinji Takeda, Takumi Saitoh, Eriko Sato and Nobuaki Kaneko, all of whom will play the role of killers with colourful personalities. It will also feature some huge names in Japanese film including Shun Oguri, Anna Tsuchiya, Miki Maya and Eiji Okuda. It has yet to be revealed who will play the film’s heroine Ooba Kanako.